Below you can view all the homes for sale in the Belvedere Park subdivision located in Decatur Georgia. Listings in Belvedere Park are updated daily from data we receive from the Atlanta multiple listing service. To learn more about any of these homes or to receive custom notifications when a new property is listed for sale in Belvedere Park, give us a call at 404-998-4097. Just Bring Your Things And Move In; All Of The Work Has Already Been Done For You! MLS#6538980. Keller Williams Realty Intown Atl. Home Sits On Nice Level Lot, Sliding Doors From Dining Room Lead To Backyard Patio, Perfect For Quiet Reflection Or Entertaining. MLS#6532997. 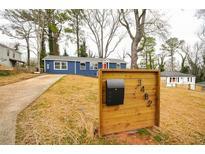 Exp Realty, Llc..
Home Is Close To Downtown Decatur, Avondale Estates And Downtown. MLS#6538440. Charlesworth Realty Group. This Is An Ideal Home For A First Time Home Buyer Os Growing Family Seeking Modern Amenities In A Bustling Neighbourhood. A Must See!! ! MLS#6535162. Engel & Volkers Atlanta. You Don'T Want To Miss This, It Won'T Be Here Long! MLS#6535031. Ansley Atlanta Real Estate, Llc. Move-In Ready & Priced To Sell - Excellent Opportunity. MLS#6534465. Exit Team Realty. Bring Your Buyer To Enjoy The Beauty Of This Home. MLS#6531118. Lenox Realty Group, Llc..
Split Bedroom Floorplan. Open Living Area Floorplan. MLS#6528338. Real Living Capital City. Your New Home Just Awaits You, So Don'T Wait To View! Now Is The Time! MLS#6528520. Palmerhouse Properties. All Within Min To Downtown Decatur, Avondale, & Intown Hotspots!! ! MLS#6527929. Palmerhouse Properties. Bring Your Clients And The Home Will Sell Itself! MLS#6526059. Palmerhouse Properties. This Area Is Hot Don'T Miss Out On This One !! ! MLS#6526845. Keller Williams Atlanta Classic. The Yard Is Perfect For Pets To Run Around And Explore. This One Won'T Last Long. MLS#6524675. Jar House Llc. Close To New 77 Acre Decatur Park! MLS#6524099. Keller Williams Realty Metro Atl. House Features A Deck Overlooking The Large Fenced In Backyard. MLS#6522364. Century 21 Connect Realty. An Incredibly Cute 3 Bedroom, 2 Full Bath Home In A Friendly Community, A Relaxing Place You Will Be Happy To Call Home. MLS#6520624. Prestige Brokers Group, Llc..
2 Addl Bedrooms, Hall Full Bath. Walk To Kroger/Shopping & More. MLS#6520536. Ansley Atlanta Real Estate, Llc. Great Location And Walking Distance To The Elementray School. ***Security System Is Armed MLS#6519571. 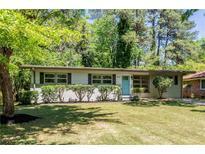 New Century Real Estate Group, Inc..
Come See This Gorgeous Decatur Home! MLS#6518155. Rambeau Realty Lp. Just Minutes To I-285, I-20 & Downtown Atlanta. MLS#6517786. Berkshire Hathaway Homeservices Georgia Properties. Enjoy Front & Backyard Space W/New Deck & Patio For Entertaining. Agent Related To Seller MLS#6511474. Keller Williams Realty Atlanta Partners. Min To 20/285, Avondale, Decatur, & Intown/Eastside! ! MLS#6512962. Palmerhouse Properties. The Only 5 Bedrooms 3 Baths In The Neighborhood. Come See This Gem Today! MLS#6512497. Redefy Real Estate. It Could Be A She Shed, Workshop, Man Cave, Or Finished Into An Apartment For Rental Income For An In-Law Suite The Opportunities Are Endless! MLS#6506646. Chapman Hall Premier Realtors. 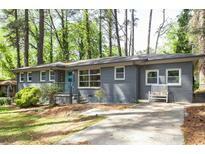 Conveniently Located Close To East Lake Golf Course, Eav, & City Of Decatur. MLS#6506602. Keller Williams Rlty, First Atlanta.